After previously having slowed quite a bit, Austin job growth is aggressive once again. 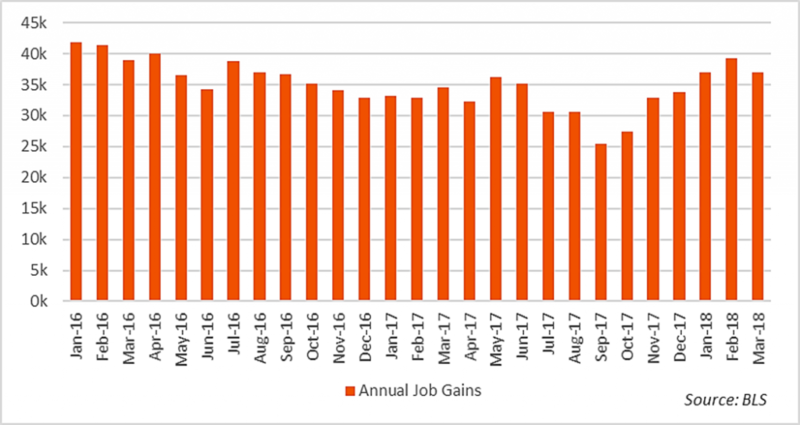 According to data from the Bureau of Labor Statistics, Austin recorded an economic boost of 36,900 jobs in the year-ending March 2018. This was one of the metro’s strongest performances since June 2017, when job growth began to slow partly due to labor shortages in certain fast-growing industries like technology.